It’s been long anticipated and after other models had a makeover we couldn’t wait to see what the successor of the 910XT would have. 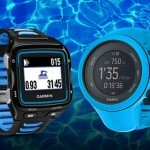 Luckily somebody at Garmin made a small mistake and some images and details leaked out last Tuesday the 23nd of September, about the upcoming new Garmin 920XT. It appears to become available in two colors, and a color screen, as we’ve seen from the other newer models. 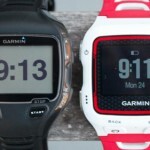 Besides these ‘confirmed’ rumours we’ve heard that the new Garmin 920XT should support both WiFi and Bluetooth. 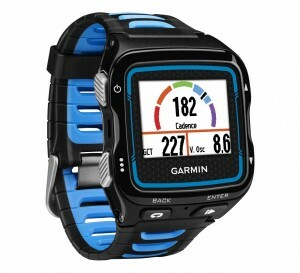 And a built in metronome so you can work on your running cadence without having to look on your watch. 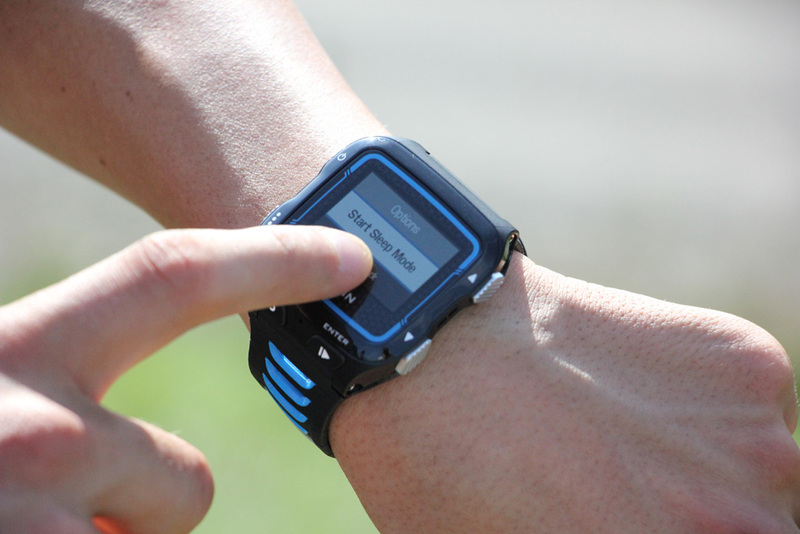 Now you can use your Forerunner for multisport training — and go from wrist to bike in seconds. The kit includes a quick release bracket, a wrist bracket, a bike mount, 2 pins, 2 screws, 6 bike mount o-rings and installation screwdrivers. We’ve cropped out the rest as the image had been taken down and wasn’t cached. The anticipation is all built up towards the expected announcement date of the Garmin 920XT which is thought to be October 11th 2014, this is on the same day as the IronMan world Championships in Kona, so that would be a sensible date to reach heaps of triathlon media in one go. We also found a pre listings of the 920XT to be available ‘mid-october’, which somewhat confirms this. Now, what everybody has been asking, what will it cost? From what we’ve gathered it will come at a price of $449 or €449. Additional images we’ve found on Garmin (thanks to http://tritriagain.uk/ on a pointer where to look, scroll through these images as we currently have 12. 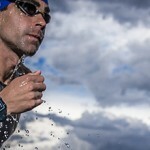 Markus Unterweger is a German photographer/triathlete/blogger who posted to Twitter that he was the photographer a shoot with the Garmin 920XT. He’s sharing two images on his blog which you will find below. 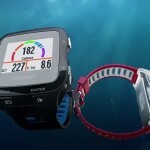 The Garmin 920XT seems to be smaller than the 910XT which will be very nice when you’re wearing it under your wetsuit as it will be a lot easier to take off then. 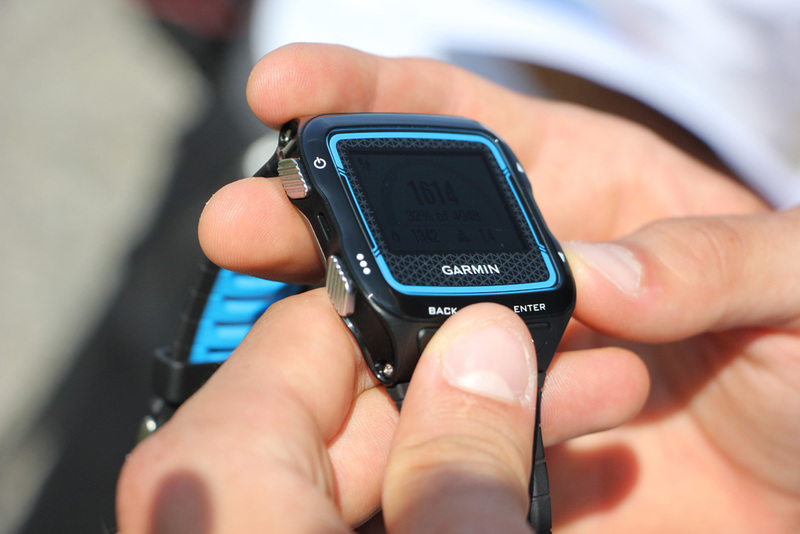 Garmin added a touch screen to the 220/620 and if we can speculate just a bit about the features based on this photo it looks like the Forerunner 920XT will have e touchscreen too. The screen is not raised as the 910XT is and has a little bevel around it. Just like the 220/620, to protect the screen from easily scratching.